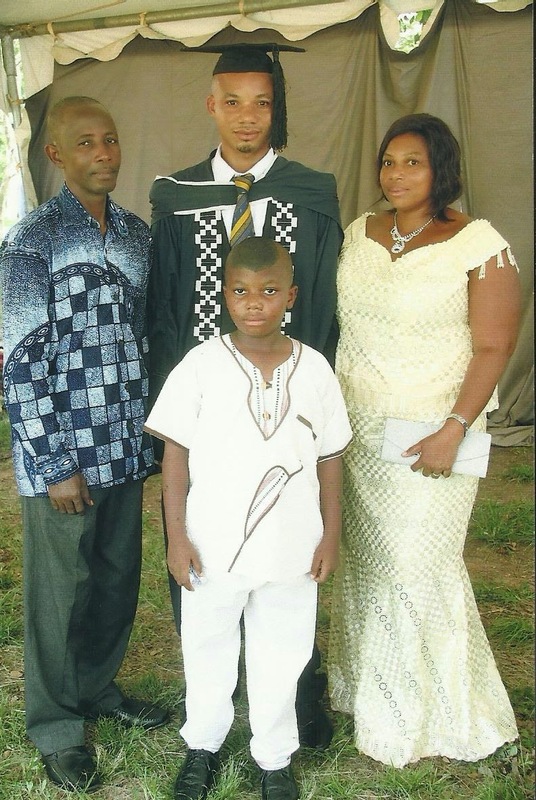 I went to Ghana last year to see one of my kids graduate (with a master's degree in mathematics and statistics...so clearly he's not my biological child!) except that the graduation didn't take place as planned. There was a professor's strike and they didn't submit all the students' final paperwork to the graduation committee. So sadly, I didn't get so see the ceremony. 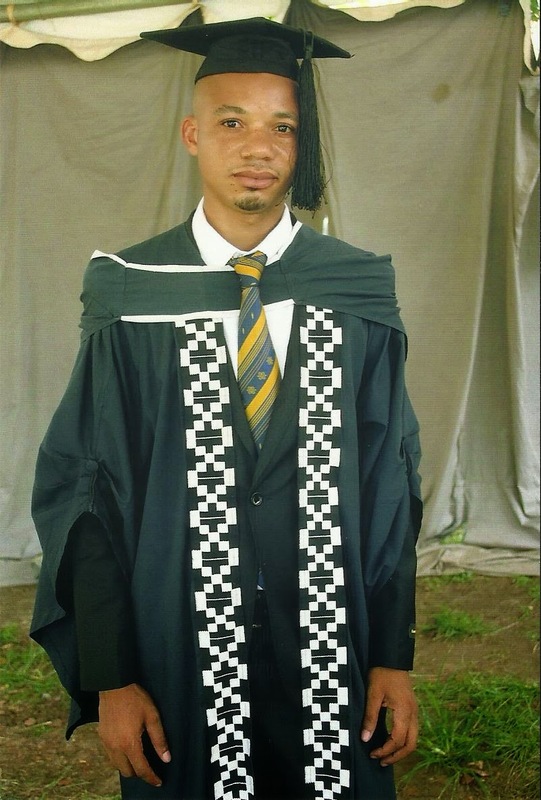 But it did finally happen last month and he sent me some pictures of him in his cap and gown. Proud mama here! Gabriel with his sister, brother-in-law and nephew. Ghanaians rarely smile in pictures. This is about as much as you get. Linking up with Unknown Mami for the always-fabulous Sundays in My City. Click the button below for more SIMC posts. That is an awesome accomplishment. Very cool post! Thank you for sharing. Awww, many congratulations. Thank you so much for sharing these wonderful photos. This is such a big deal. I wish him much continued success. Congratulations to Gabriel. I'm happy that graduation finally happened. What a fantastic accomplishment!